NBC provides us with the ratings for last night’s editions of The Tonight Show with Jay Leno, Late Show with David Letterman, Nightline, Jimmy Kimmel Live, Late Night with Jimmy Fallon, Late Late Show with Craig Ferguson, and Last Call with Carson Daly. * In Nielsen’s 56 metered markets, household results were: “The Tonight Show with Jay Leno,” 2.8/7; CBS’s “Late Show with David Letterman,” 3.2/8; and ABC’s combo of “Nightline,” 3.3/8; and “Jimmy Kimmel Live,” 1.9/6. 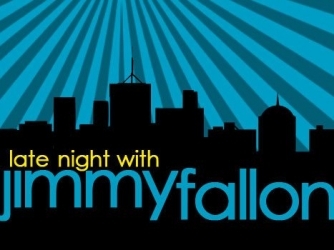 * In the 25 markets with Local People Meters, adult 18-49 results were: “The Tonight Show with Jay Leno,” 1.0/5; “Late Show,” 0.7/3; “Nightline,” 1.0/5; and “Jimmy Kimmel Live,” 0.7/4. * At 12:35 a.m., “Late Night with Jimmy Fallon” (1.3/5 in metered-market households) trailed CBS’s “Late Late Show with Craig Ferguson” (1.6/6). In the 25 markets with Local People Meters, “Late Night” (0.4/3 in 18-49) trailed “Late Late Show” (0.5/3). * At 1:35 a.m., “Last Call with Carson Daly” averaged a 0.8/3 in metered-market households with an encore and a 0.3/2 in adults 18-49 in the 25 markets with local people meters.